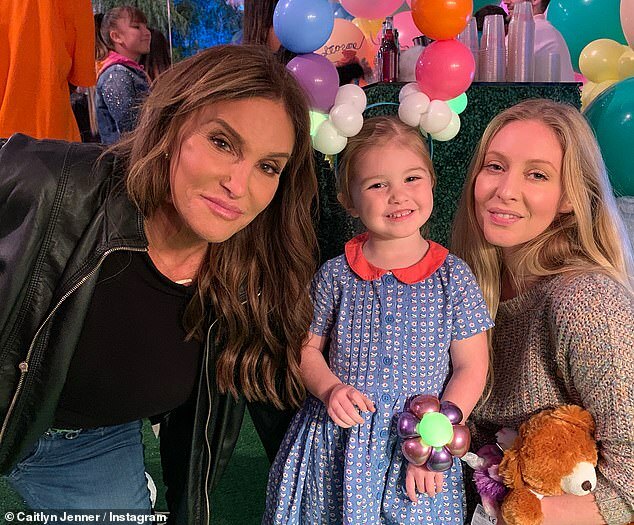 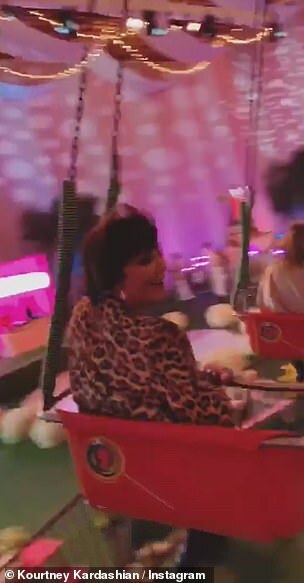 Caitlyn Jenner put family first as she celebrated her grandchild Stormi's first birthday at a lavish bash thrown by Kylie on Saturday afternoon. 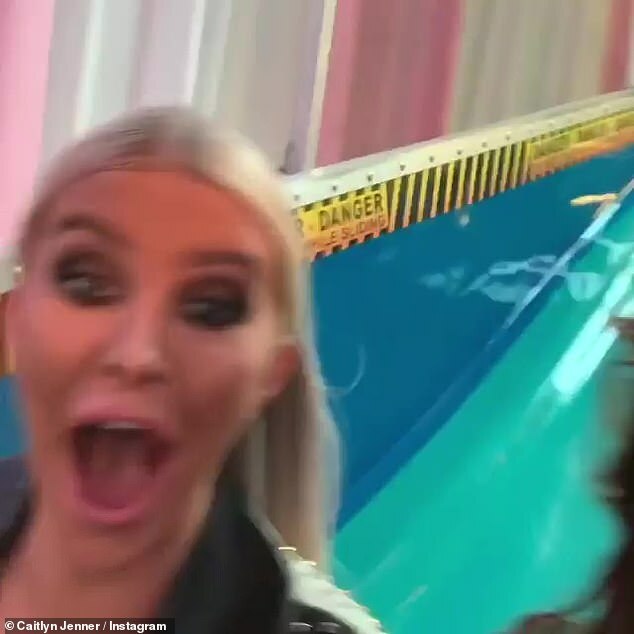 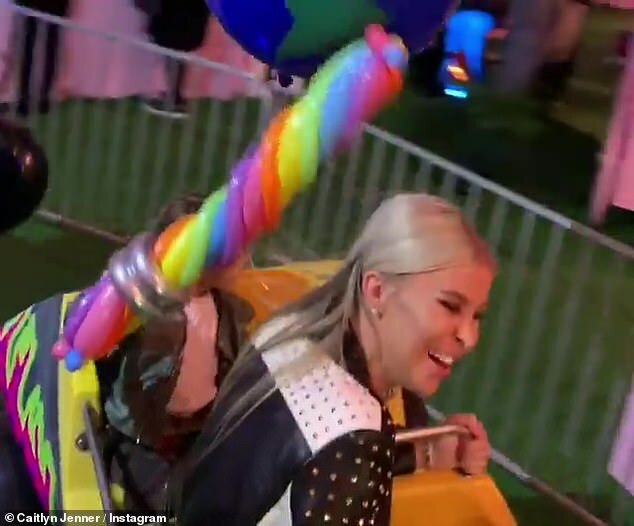 The 69-year-old reality television star was joined by gal pal Sophia Hutchins, 22, as she shared videos of the pair larking about on the children's rides with her Instagramfollowers. 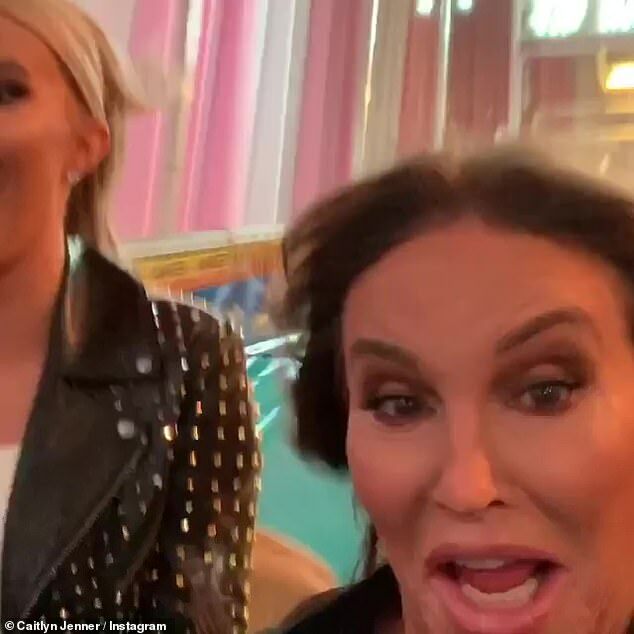 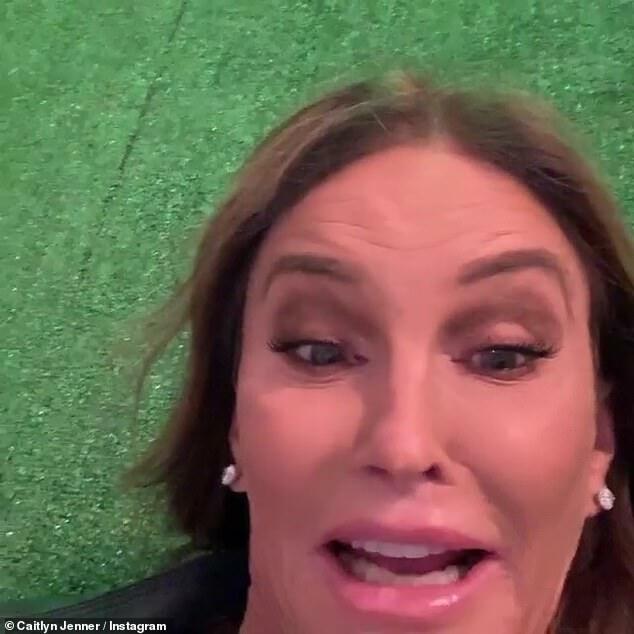 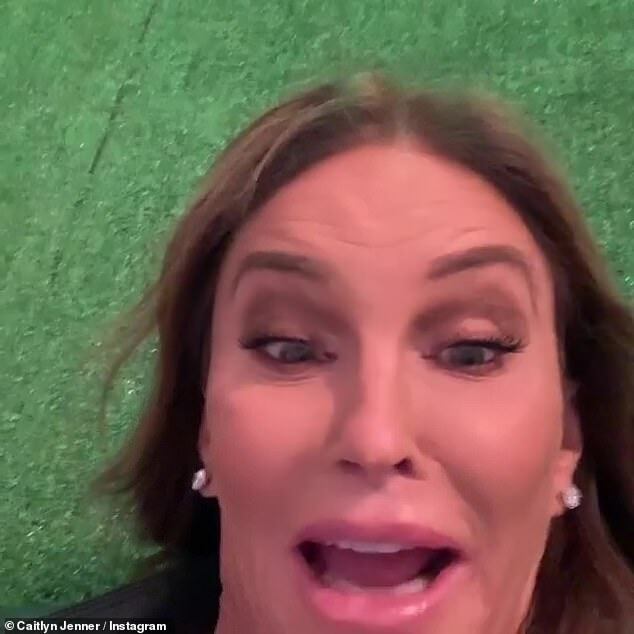 Caitlyn, who was married to Kris Jenner for 24 years, praised her youngest daughter Kylie in the caption. 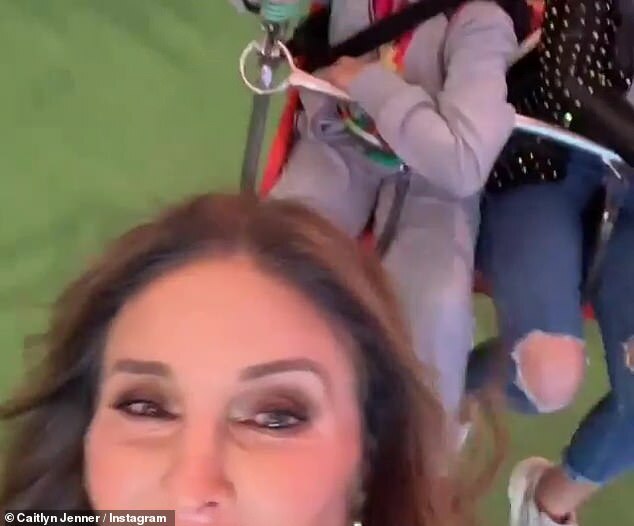 Caitlyn is heard on the video calling Sophia's name to get her attention, as the giggling couple tried out the kiddie rides in the carnival-themed party. 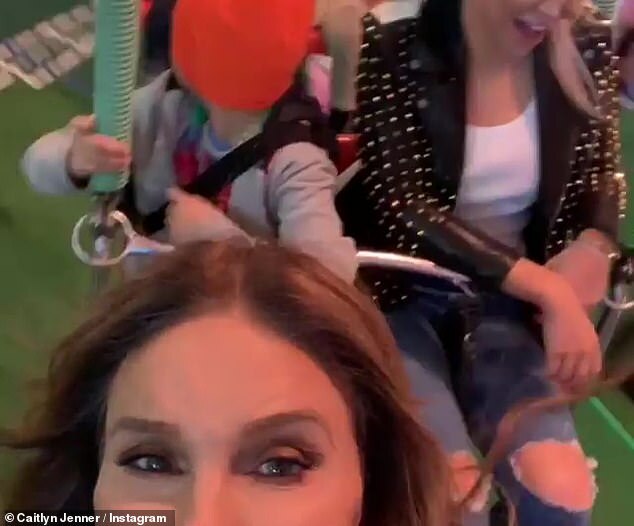 The former Olympian was dressed in a black top and leather jacket, with skinny fit blue jeans. 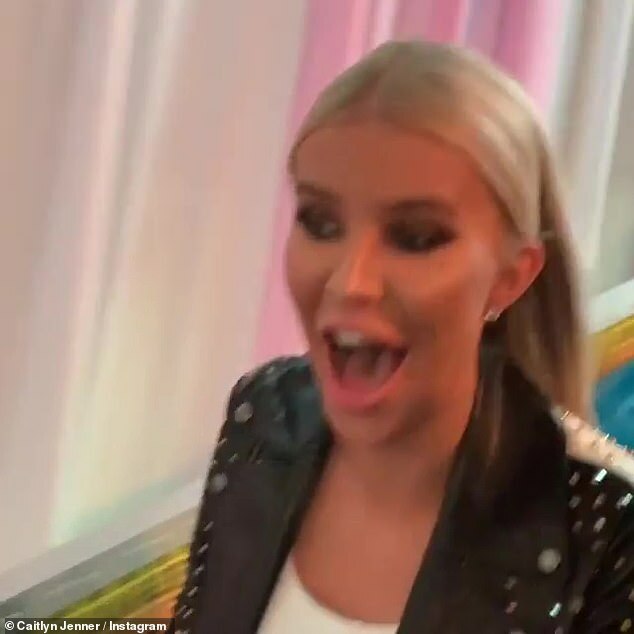 She completed her outfit with casual grey sneakers, which seemed to match Sophia's pair. 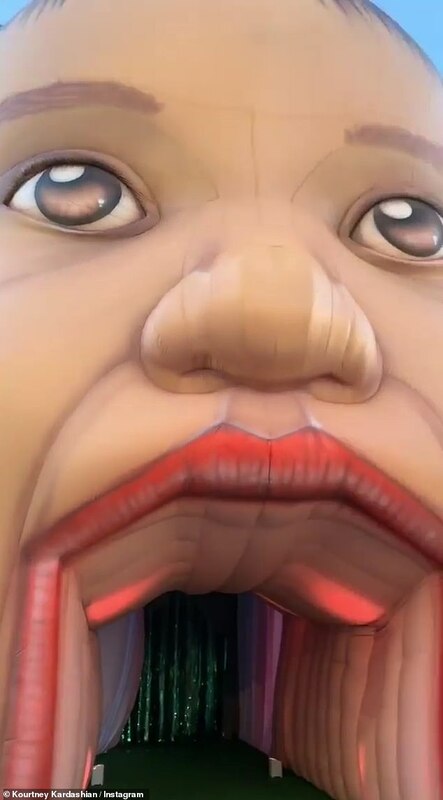 The bash started on a surreal note, inviting guests into the mouth of a terrifying inflatable baby head which looked like the spitting image of Stormi herself. 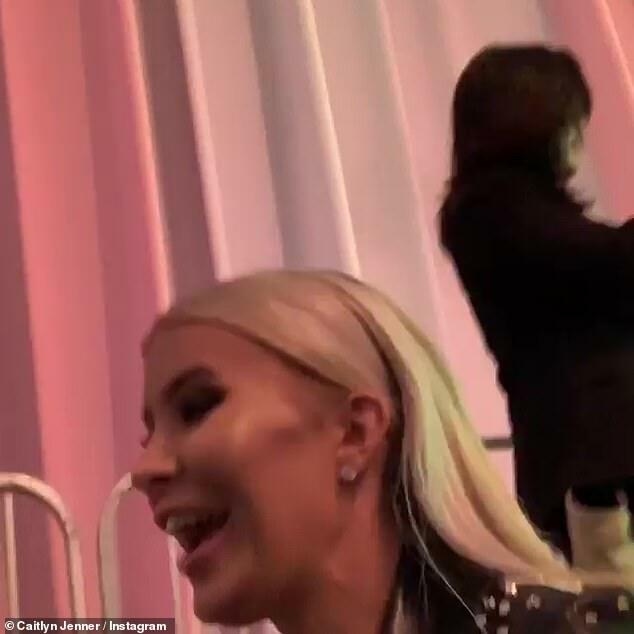 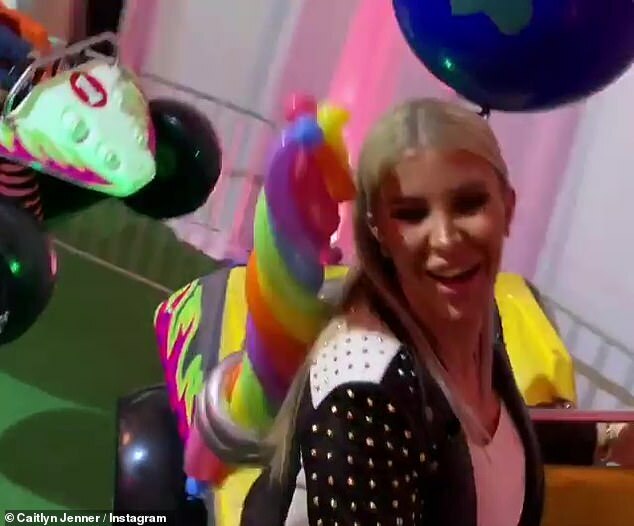 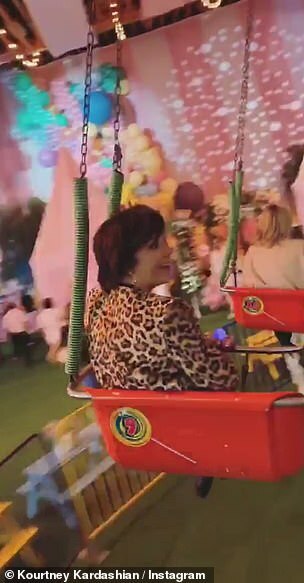 Sofia Richie - the girlfriend of Kourtney's ex/family friend Scott Disick - shared amazing images of giraffes and zebras being walked into the party.